My great great great grandfather, Johnson Fisher, was the first generation of my Fisher ancestors to use that surname. On the 1852 Drennen Roll, he was listed simply as Johnson. His father was listed as Fisher. No surnames were attached to either of them. By the time the two men enlisted and fought with the 3rd Regiment of the Indian Home Guard, they were using the names Fisher Hatchet and Johnson Fisher. As you can see, Johnson Fisher took the first name of his father as his surname. This was a common practice among the Cherokees when asked for a surname. Since he was Johnson, the son of Fisher, he became Johnson Fisher on records recorded by English speakers. Later, when the children of Johnson Fisher applied for the Guion Miller Roll, each stated the name of their father was Johnson Fisher and the name of their paternal grandfather was Fisher Hatchet. 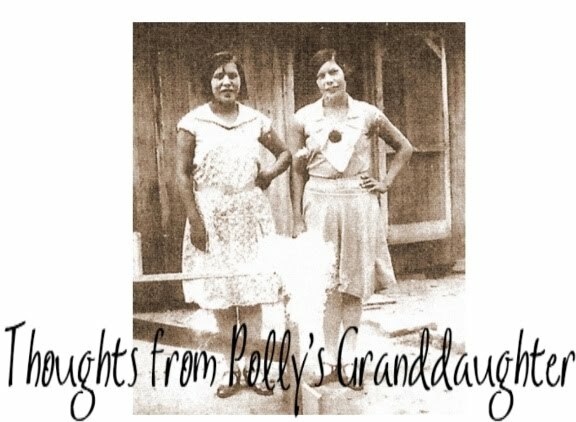 To people who are used to researching their ancestors who always used both a given name and a surname, they assume it is nearly impossible to trace Cherokee ancestry. This is not true. There are many records of the citizens of the Cherokee Nation. Sometimes family groups are listed on the rolls or censuses. The Old Settler Payment rolls list the names of a person's heirs and the relationship the heir had to the original payee. The Guion Miller applications often have both the Cherokee and English names of the parents and grandparents of the applicant. Sometimes even the names of aunts, uncles and cousins are listed. 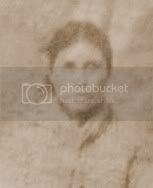 Often times, people will claim to have Cherokee ancestry but then say they can't prove it because there are no records. Hopefully by sharing the history of my Cherokee surname Fisher, I have helped dispell that myth. I have tried to show how our Cherokee ancestors can be traced, even when the family did not follow the traditional naming conventions of the English. It may take a little more time and require a little more work, but Cherokee genealogy is not impossible.